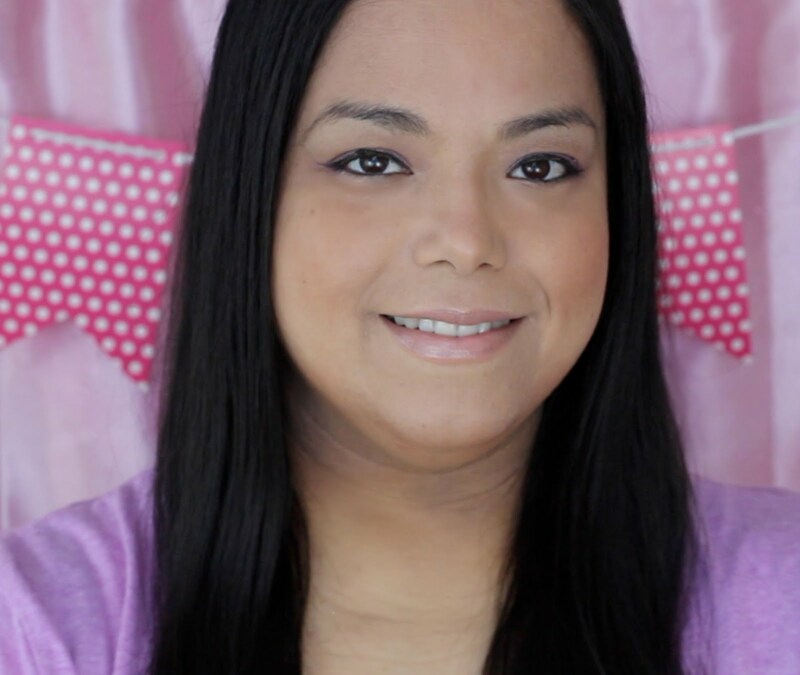 This is a compensated campaign in collaboration with Vi and Va Dolls and Latina Bloggers Connect. I remember loving my fashion dolls when I was a little girl. My best friend and I would play with them for hours! I got some for my daughter as soon as I knew I was having a girl and saved them until she was old enough to play with them. Now she wants to play all the time with me and I have fun role playing with her. 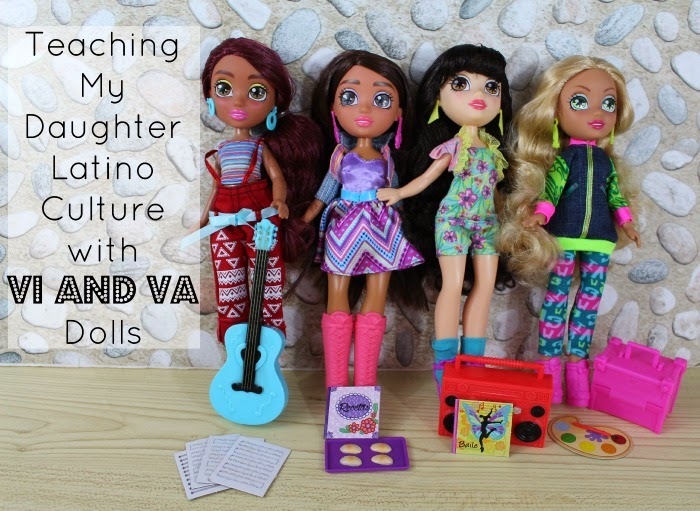 I was so thrilled to see the line of fashion dolls called Vi and Va that are inspired by Latino cultures. 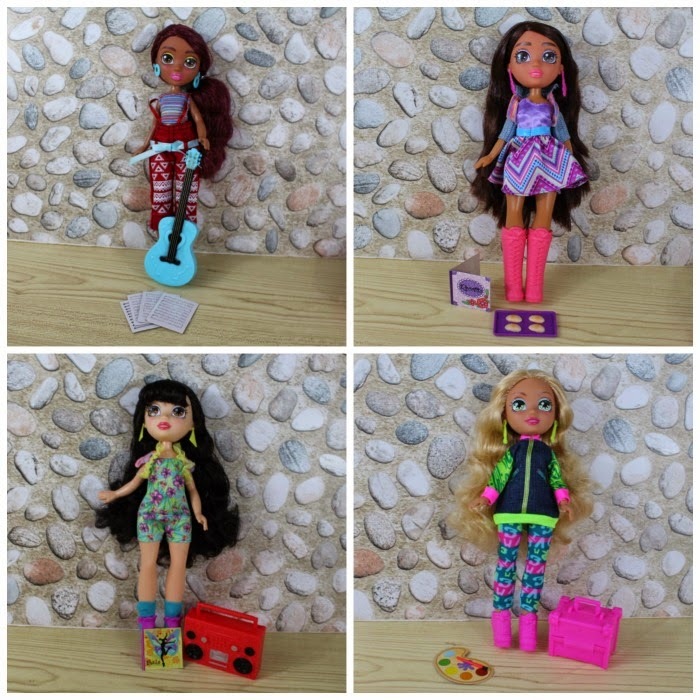 Viviana and Valentina are two teen sisters and Felicia and Roxxi are their best friends who are also their cousins. Being Puerto Rican, I can definitely relate as I am very close to sisters and cousins. I was so happy to see how different all four dolls are as it covers the melting pot of Latinos for all over. I love how each girl has their own talents. Viviana has her little guitar because she loves music. Valentina comes with a baking dish of cookies and a recipe book because she loves to cook. Felicia comes with a paint brush and paint kit because she loves to create art. 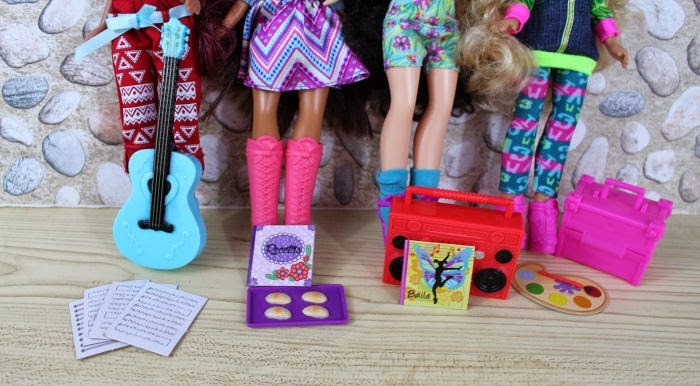 Roxxi comes with a radio because she loves to dance. My favorite was Valentina because she looks the most like my daughter and she likes to cook like my daughter and I. I let my daughter bring Valentina to the kitchen as we made dinner. Then we had fun role playing with her little kitchen and Valentina making empanadas while the other girls sat and watched. My daughter loved changing their clothes and brushing their hair too. In addition to the four dolls there is also a Birthday Celebration set, Fashion Designer set, Hair Stylist set, and a Head Styling Doll head. (I think we will be purchasing that one next!) 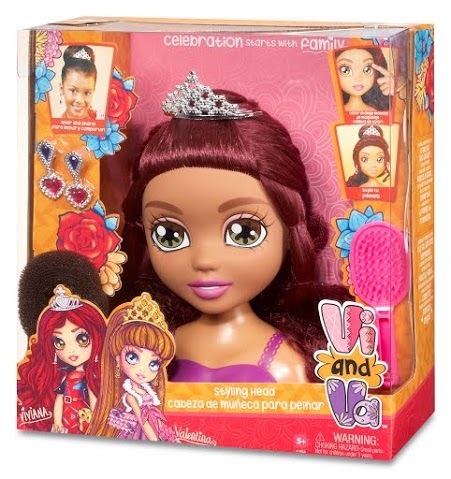 You can find the entire line of Vi and Va dolls and sets exclusively at Target. Follow Vi and Va on Facebook and Twitter to get all the latest product news. Enter below to win a Vi and Va Styling Head! My daughter would love these! My favorite is Roxxi because she is a dancer! 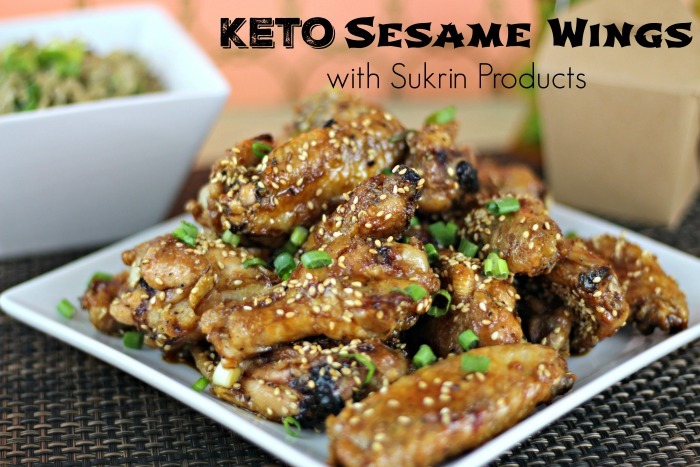 Great review and giveaway! Thanks! She is so cute! I love those dolls too. I've never heard of these but really I think any little girl could learn valuable lessons with play using a set of these - super cute! The dolls are really cute. I appreciate the variety of skin tones, which is exactly what you'll see in the community. This is the first I have heard of these doll! They are really cool! I love how they are themed after cooking, music and the arts--all of which are so important to the Latino culture! What a neat way to teach some of your culture to your daughter. I know my boys have learned so much through play. Dolls--I had a bunch of dolls dressed in foreign dress when I was a child--those I didn't play with very much. I had my favorite baby doll that I named Honey--she literally came with me everywhere!! How cute are those dolls? As a mother of three girls, I want them to have a of range of toys. They have things that are marketed specifically to girls, things marketed for boys, dolls that resemble them, and dolls that don't. What a great idea! 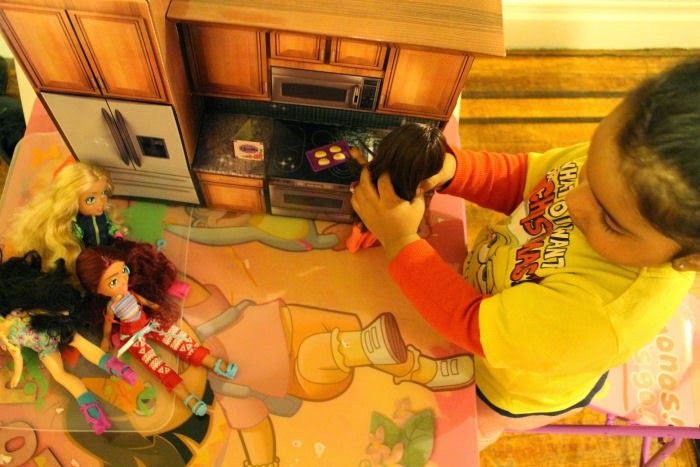 I love when there are toys that help a child connect with who they are. I love that you found a doll that looks just like your daughter:) I'm sure she absolutely loves it! It looks like she does!! It's so nice to have dolls that share our culture. I think it's fun that they have different interests as well. Love all of te fun accessories and dolls are a great way to share culture. It give kids something they're interested in. My niece would love these dolls and the culture behind them as well. I think my daughter would love Valentina the best.